These collars are used to punish dogs. Don't be misled by descriptions that the collars work by administering "stimulation" to your dog. They give your dog a shock. As I wrote in the first chapter of this book, punishment has many disadvantages. There are two types of problems that I hear from people who try them. The first is that if a dog doesn't know what to do to stop the punishment, he will become frightened and depressed from a sense of helplessness. The pain may increase anxiety and aggression, making the behavior problem worse. The other problem is that the dog will become frightened of everything associated with the pain. I've seen dogs who are afraid to go outside because that is where they were first shocked. Think about what kind of housebreaking problems this can cause! 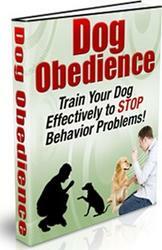 Timing is critical in using punishment, a skill that can take years of dog training experience to develop. For this collar to be effective, your dog must have completely learned a behavior and have had tens of thousands of repetitions. People who buy these collars as shortcuts to training will likely waste their money and cause mental damage to their dogs. I do like citronella spray collars in some circumstances. They work by having a puff of citronella spray come from a box on a collar that hits under a dog's chin. They startle a dog rather than really hurt him. There are fewer side effects with good results. However, the same criticisms apply as do to electronic collars. A sensitive dog can become fearful. 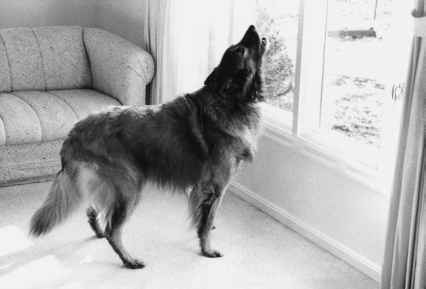 For the collar to work, a dog must have thoroughly learned a behavior through thousands of repetitions with positive reinforcement. Is Your Dog Becoming Increasingly Out Of Control? Discover Proven Ways And Methods You Can Use To Get Them To Change!! There have been times when you as a dog owner becomes increasingly frustrated.